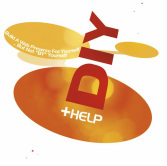 Vermont Web Designers: Do It Yourself - with HELP! Build it yourself - but not *by* yourself! Many business owners, especially new ones, try to save money by doing everything themselves. Unfortunately, this is a mistake. When you lose focus on what you are good at to deal with all the distractions (necessary though they may be), everything begins to fall apart. Unfortunately, for those who accept that they need to delegate, there are many services out there that are more than willing to take your money and give you ... well, let's just say you probably see a lot of disappointment at the end of the contract. If you want something done fast, you will have to pay for it. Unfortunately, some things can't be done *fast*, no matter what the salesman promises. 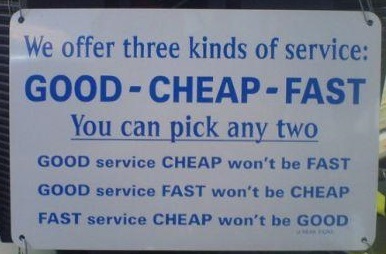 And if it does get done fast, it won't be good, even if you paid a premium. WE ONLY HAVE ONE OPTION: GOOD! Our service is about quality, consistency, and fairness. We aren't going to make your farmstand into Agway in a matter of months. We, on the other hand, are not looking to become Google. We want to provide you with the tools and expertise that will allow you to compete in the internet marketing world with all of your competitors, regardless of their size, and find ways to bring more customers to your doorstep. On the next page, we'll describe all the features of the service, along with some realistic projections of what it can do for you, and how soon it will happen. Much of the setup work will be done before you even have to start paying for it. That's right - this is a collaborative effort - we are partners in the success of your web presence - and this is why you can access the system, for free, for up to two months while we set everything up. Your website won't be live, and the links won't be active, but you will get to see how everything is coming together. You will get to play in the sand box, make changes, and we'll work together to make sure things get done. This is one of the reasons we limit the number of new clients at any given time.